Spring is almost here. So, it’s a great time to plan a getaway to Hendricks and Morgan counties to visit the Rural Routes to Main Street Cultural Trail. I have been doing a lot of exploring along the trail recently, so I thought as an insider I can give advice on how to plan a visit. Last week, I created an itinerary for part of the trail. You can see it by clicking here. Today, I’m giving you the rest of the trail. Feel free to use both posts to mix and match and plan your perfect getaway! As I stated in my previous post, the Rural Routes to Main Street Cultural Trail is a self-directed, self-guided driving tour featuring more than 30 arts and culture attractions in Hendricks and Morgan counties. There is so much to see and do including art, shopping and food that you can’t see it all in one day and might not be able to see it all in one weekend. For this post I’m planning Day One in Martinsville, Indiana, with dinner and an overnight stay in Plainfield, Indiana, and Day Two will focus on the arts in Brownsburg and North Salem. I’ve even included an interactive map to help you visualize the trip: [cetsEmbedGmap src=https://maps.google.com/maps/ms?msid=201147400208901359075.0004d71f0955359e71f32&msa=0&ll=39.699791,-86.197357&spn=0.713207,1.674042 width=450 height=425 marginwidth=0 marginheight=0 frameborder=0 scrolling=no] One thing to keep in mind, it is best to plan this trip on Thursday, Friday or Saturday to insure all locations are open. Day One Everything’s A Canvas Art Studio and Gifts – 96 N. Main St., Martinsville, Indiana - Start your trip in the heart of Martinsville on the downtown square. At Everything’s A Canvas, you have the choice of adding a personal touch by glazing your own bisque piece or buying one. The shop also offers local works of art and A Child’s Corner that has décor for a nursery or child’s room. 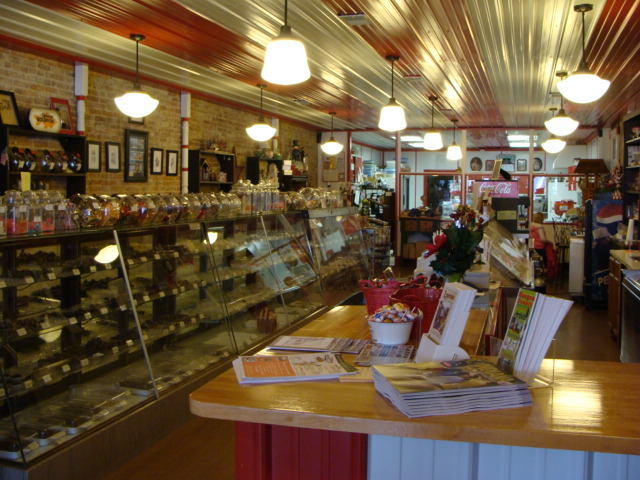 Martinsville Candy Kitchen – 46 N. Main St., Martinsville, Indiana – This is my daughter’s favorite stop on the square. This old-fashioned candy store is famous for their handmade candy canes that they make year round. There is a window into the kitchen, so you can watch them making the candy canes. The store also features a soda shop and ice cream parlor. If you want to make sure you see the candy making, call ahead to see if they are making candy that day, (765) 342-6890. I recently wrote a post on the Candy Kitchen. You can read more here. Homestead Primitives – 28 N. Main St., Martinsville, Indiana – This shop is tucked away in the back of Berries & Ivy Country Store. The store is known for their hand-painted gourds. They also carry primitive antiques. I love shopping for home décor in Homestead Primitives. I have found some unique pieces. 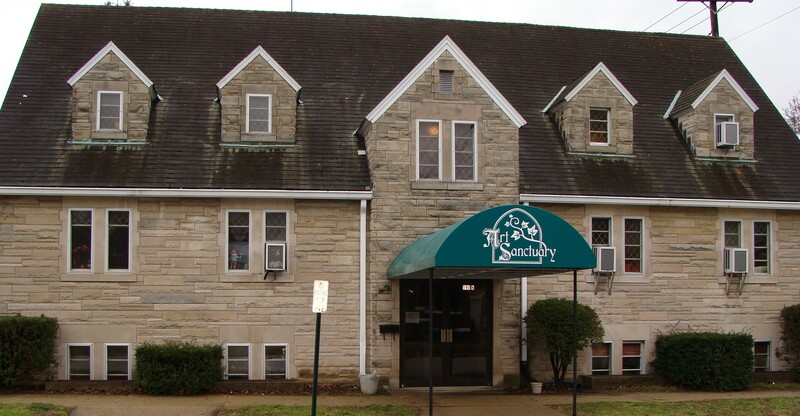 Art Sanctuary – 190 N. Sycamore St., Martinsville, Indiana – Head a block north of the square to this former Methodist Church that houses studios for nearly 20 artists. Here you will find paintings, weaving, pottery, photography, jewelry and much more. I had a great time touring the facility recently. You can read more about it here. 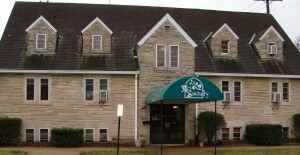 JK’s Cheesecake Café – 110 E. Morgan St., Martinsville, Indiana – Now, it’s time to stop for lunch and cheesecake. The menu features signature deli sandwiches, salads, soups and of course cheesecake. If you visit on a Friday, you may get to enjoy live piano music. I wrote a post about my dining experience at JK’s. You can read it here. 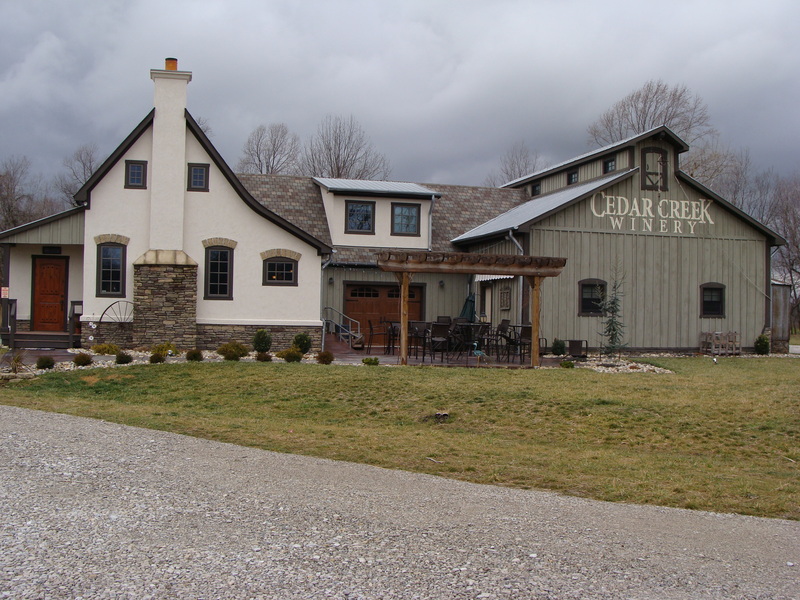 Cedar Creek Winery – 3820 Leonard Road, Martinsville, Indiana – How about capping off lunch with a wine tasting while shopping for gifts, wine related items, preserves and more. Cedar Creek Winery opened in 2010 and features 18 wines. You can sample a few wines or buy a glass and relax at a table on a couch in their tasting room. 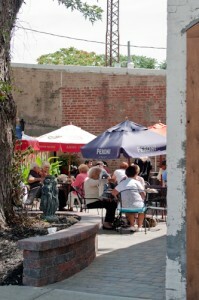 If it is warm outside, enjoy the patio area. This summer, Cedar Creek will host musical performances on Saturdays. Read about my recent visit here. Sheep Street Fibers – 6535 Ind. 252 – If you knit, you will love this stop on the trail. This store is on a 20-acre sheep farm and features yarns and fibers from their own sheep, as well as from around the world. They also offer limited opportunities to visit the Shetland Sheep in the barn. If you want to visit the barn, call ahead and make an appointment, (812) 597-5648. Hunter’s Honey Farm – 6501 W. Honey Lane, Martinsville, Indiana – This family-owned farm has been in operation for more than 100 years. It features not only honey, but beeswax moisturizing cream, honey soap, candles, marinades and more. Tours are available, but you must make a reservation, (765) 537-9430 or (877) 211-2086. Black Swan Brewpub – 2067 E. Hadley Road, Plainfield, Indiana – Now it’s time to head back to Plainfield for dinner at the Black Swan Brewpub. This family-friendly restaurant features 16 beers on tap. My favorite menu item, the French fries tossed in sea salt and vinegar with sun dried tomato aioli. Plainfield Hotels - After you are full from dinner and have finished exploring for the day, it’s time to find a nice, relaxing, affordable hotel room. There are several great places to stay in Plainfield. We have a list of hotels for you to choose from. 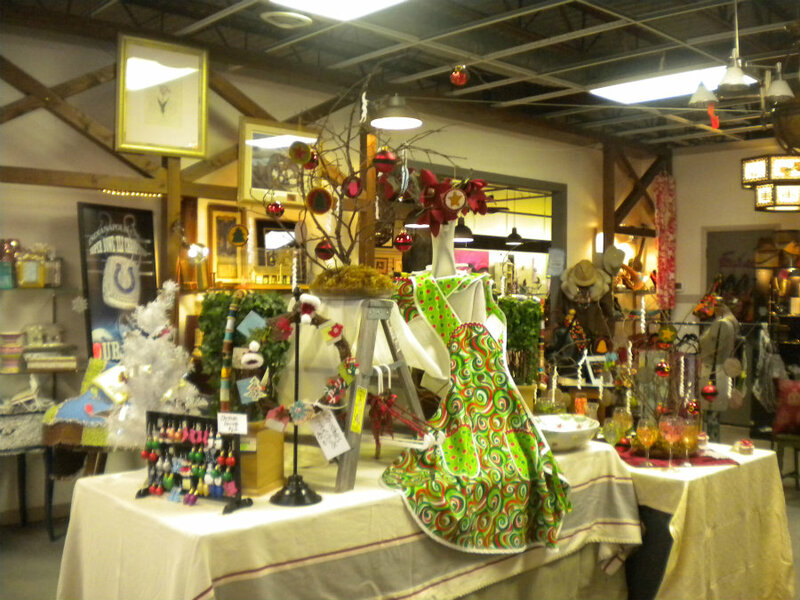 Day Two Finer Things Art Gallery – 1032 E. Main Street, Brownsburg, Indiana – This shop features original, affordable art and vintage finds. You will find work in all mediums and price ranges. The shop also carries a lot of work from Indiana Artisans. Artistic Designs Gallery – 152 E. Northfield Drive, Suite K– Shop the work of local, national and international artists. This gallery features oil and acrylic paintings, mixed media, hand-blown glass and more. Art Gallery at McCloud Nature Park – 8518 N. Hughes Road, North Salem, Indiana – McCloud Nature Park features a gallery of nature-inspired artwork. The gallery has both permanent and monthly guest-artist displays and a historical mural that depicts the park’s history. While you are there, check out the bird-watching room. Perillo’s Pizzeria & Italian Kitchen – 5 S. Broadway Street, North Salem, Indiana – Wrap up your visit with an authentic Italian lunch at a restaurant housed in an 1890’s doctor’s office. Enjoy a menu that features not only pizza, but pasta, baked sandwiches, salads and desserts. All prepared by the head chef from Palermo, Sicily. To learn more about the 2013 Rural Routes to Main Street Cultural Trail, click here.